As I’m teaching the second season of Serial in my high school classroom, I’m excited to discover that the kids love the story of Bowe as much as the story of Adnan. I thought maybe without the high school setting, they might lose a little engagement, but it hasn’t been the case. I did feel, however, that this story moves a bit slower, and it’s a bit longer, and the setting is literally foreign to them. I felt the constant compulsion to include photos or videos through the projector while they listened. It was very cool — we were in semi-darkness, listening to the story (with their reading guides in front of them), with maps, videos, or photos projected onto the big screen in front of the classroom. The resources on the serialpodcast.org site are great. I played some of the “Bergdahl’s Release” video right after Sarah described it; I showed them the map of Afghanistan; and once Bowe’s plan was described, I used the “Fly Over OP Mest” map, which they found fascinating. In my published lesson plans, I suggest using the Zoom video and the fly-over of FOB Sharana, and I played both of these when they were mentioned in the first episode. Here is a video of the Afghan army doing traffic checks, just for the sake of seeing the scenery. 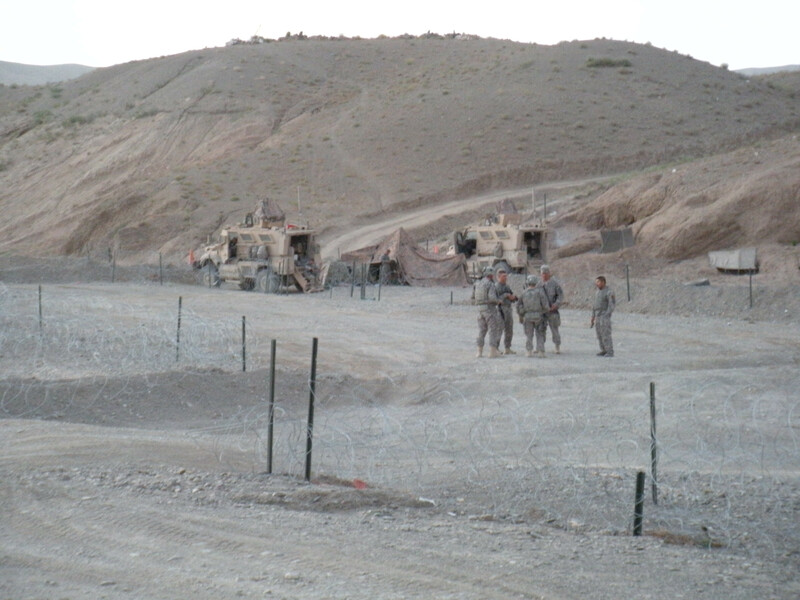 Here is a video of the Marines doing a traffic checkpoint in Afghanistan. It’s not the Army, but it gives a sense of their job and the terrain. The kids were fascinated for a few minutes. Here is a good photo of OP Mest. I didn’t use the entire videos listed above, but I put a couple of the fly-overs on loop a few times. I had them all on silent while I played the podcast from my iPhone. I’ll keep leaving notes here on my blog as we go through the second season. And if you’re interested, over a hundred pages of lesson plans are available at the TpT site. ← Lesson Plans for first 3 episodes of Serial (Season 2) now published!